Looking for a sweet gift for a new baby girl? 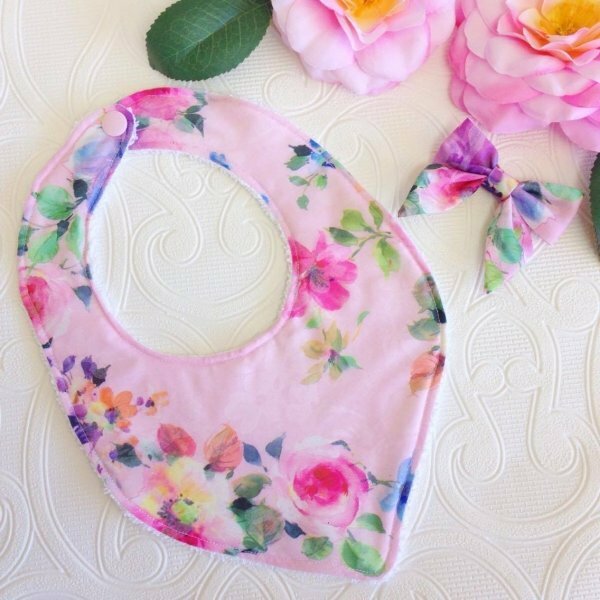 Our vibrant rose pink floral bib & hair bow set is a perfect gift to give for a baby shower or to celebrate the arrival of a little baby girl. A pretty soft pink fabric with a vibrant floral pattern in shades of pinks & purples. Bib features an absorbent towel backing. Set contains 1 x bib & matching fabric hair bow on a soft nylon headband.